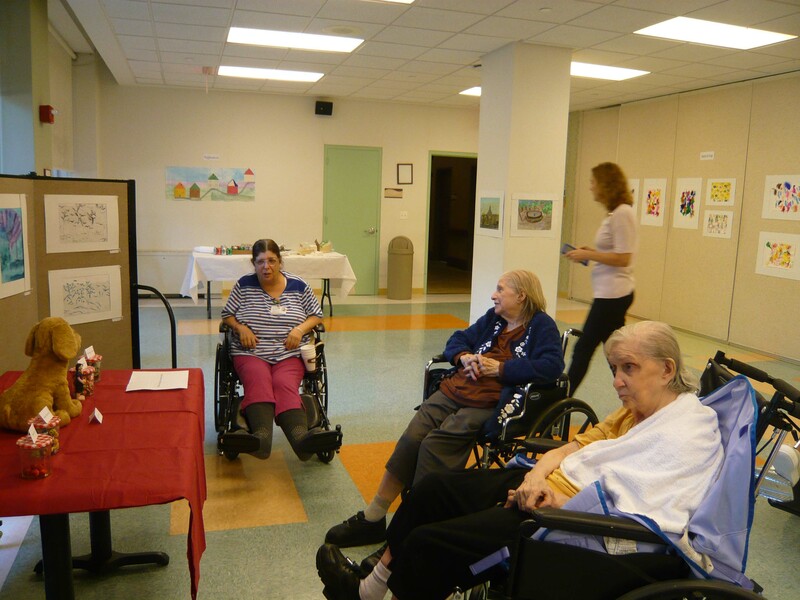 Margaret Tietz Resident Gala Art Show was held on October 6, 2016. 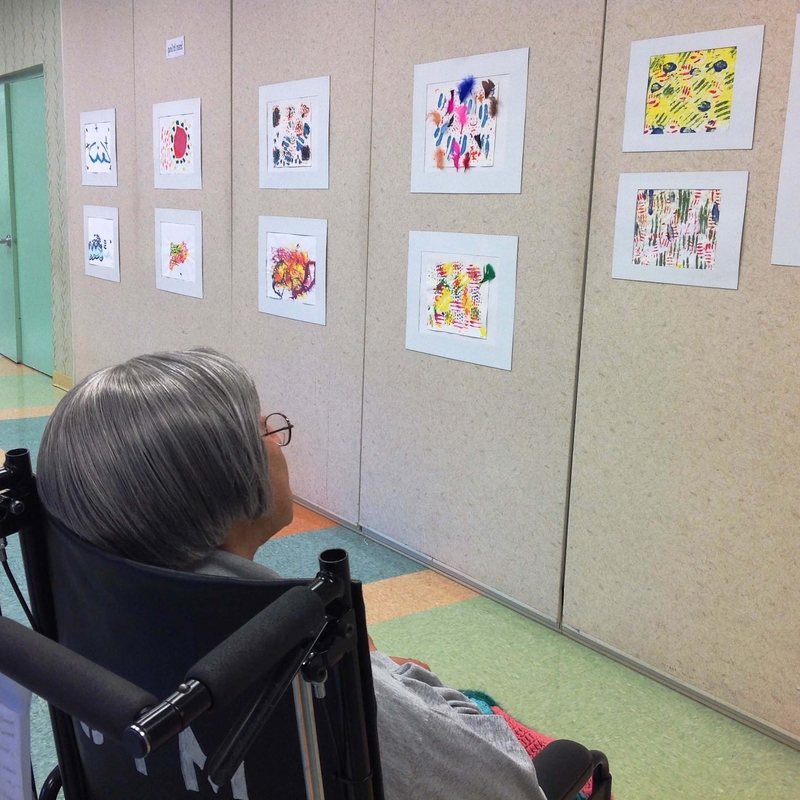 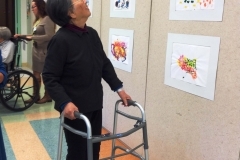 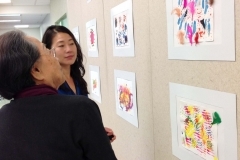 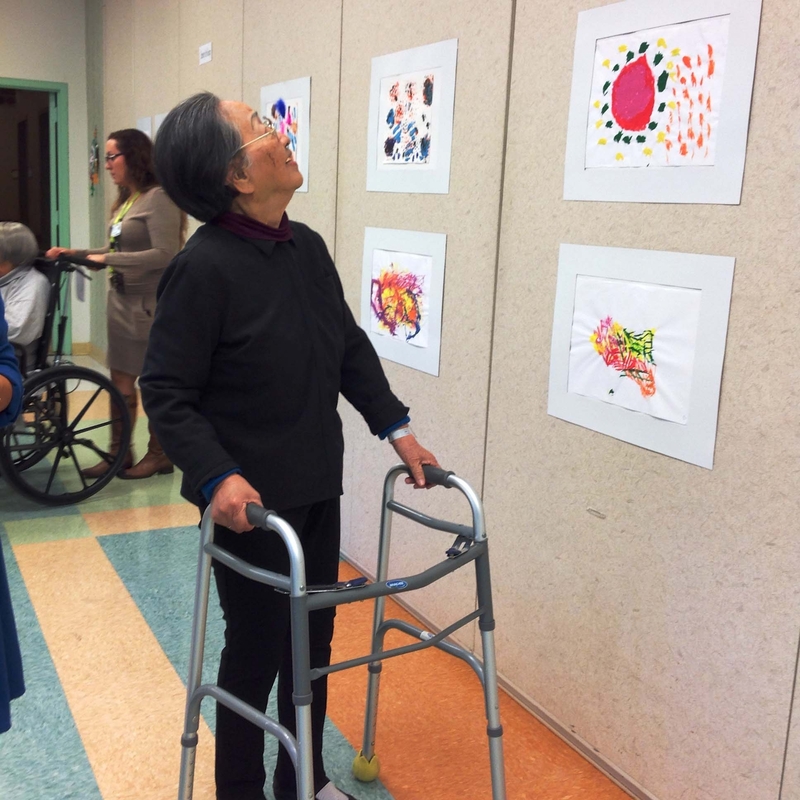 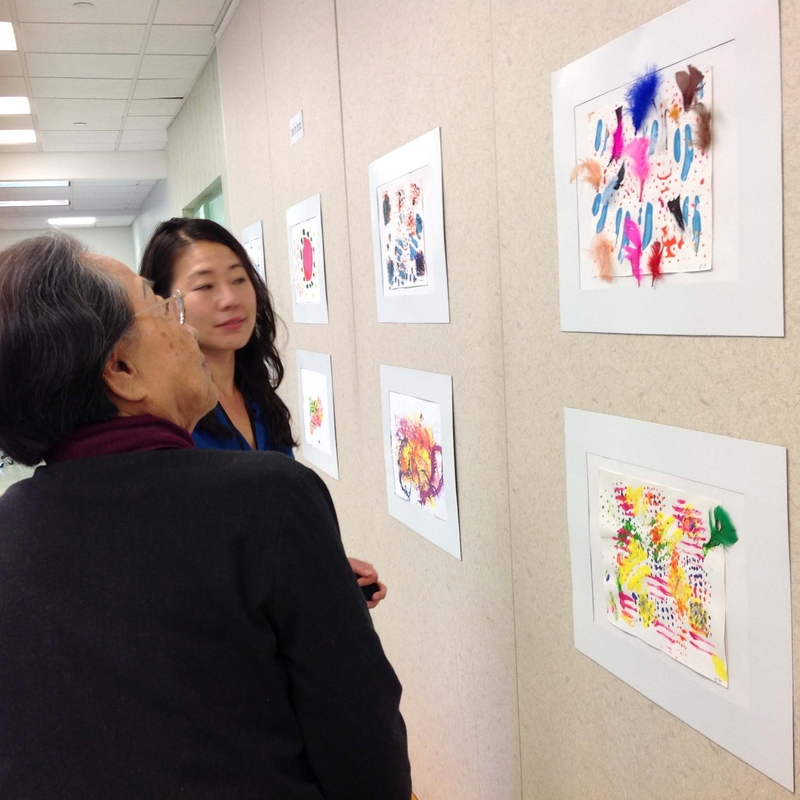 The art show featured paintings, drawings,collages, crafts and group murals. 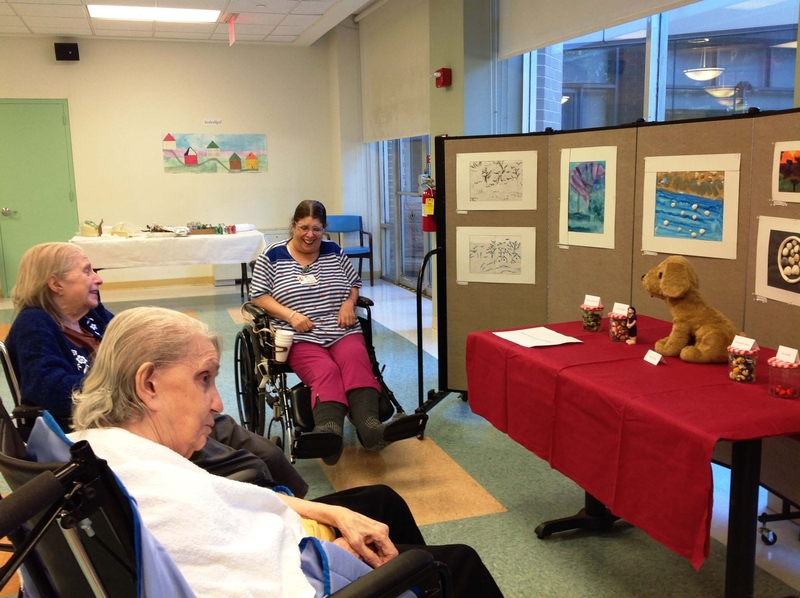 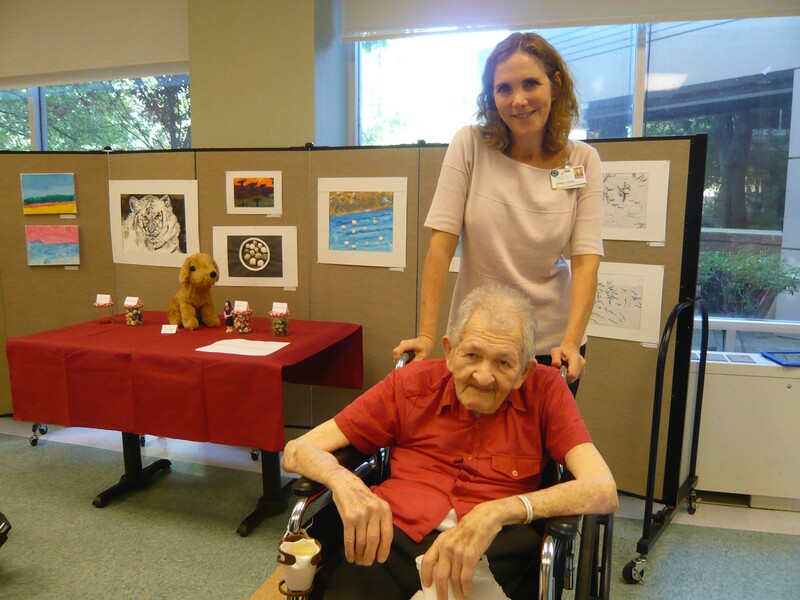 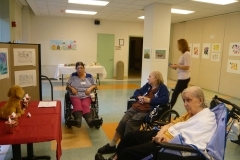 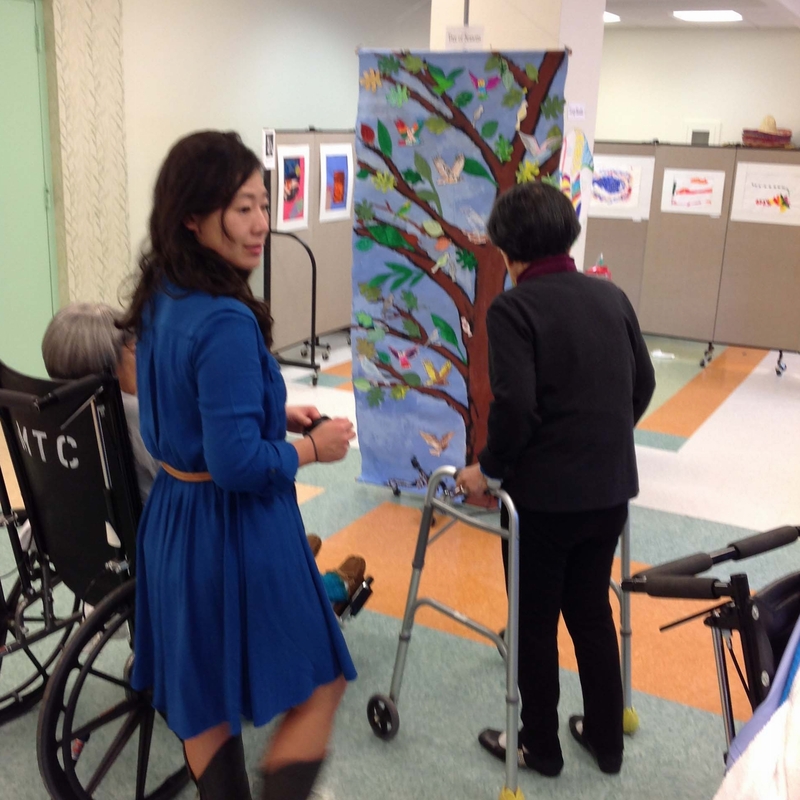 Individual and group art sessions and art therapy program at Margaret Tietz not only provide opportunities for residents to socialize and develop relationships within the community, but it also offers residents with different ways to explore and express themselves through the creative process. 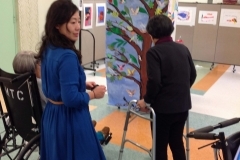 Depending on the individual needs and preferences of each person, we offer personalized objectives and various art supplies, including: paint, clay, drawing media, or sensory materials to inspire a meaningful project or simply to spark a person’s interest to enjoy the moment. 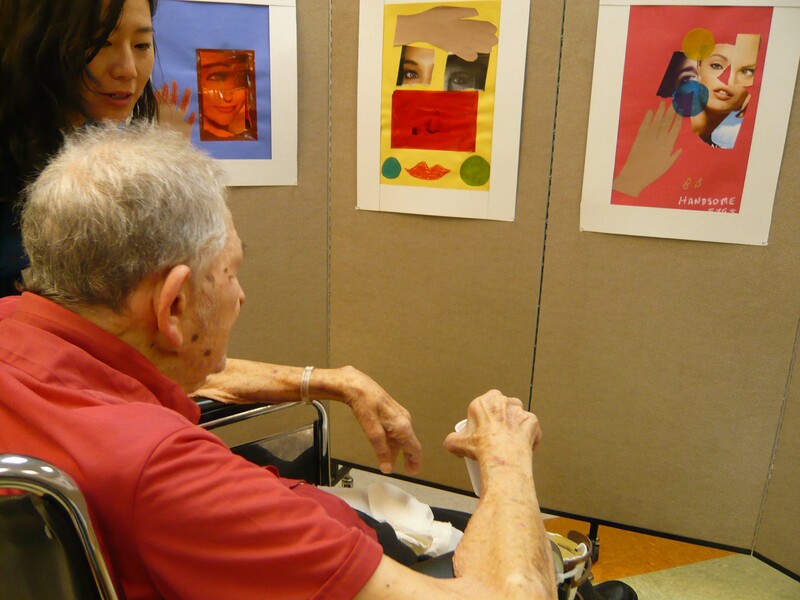 Whether it is basic crafts that remind residents of their childhood or more complex abstract painting using colors to express emotions, art therapy is versatile and adaptive in providing numerous benefits for its participants. 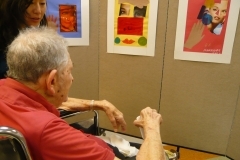 The simple act of crafting objects can stimulate one’s memories, fine motor skills, and hand-eye coordination. 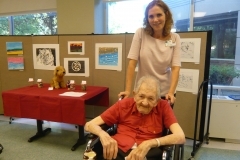 Art therapy also functions as an alternative or complementary approach to talk therapy by being an indirect way to process challenging emotions, thought patterns and relationships. 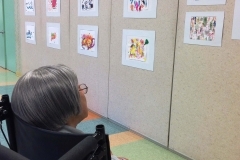 The cathartic process of making art can have many beneficial effects for the artist, including increased feelings of control, self-awareness, emotional regulation, and simply fun. 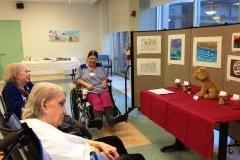 The artwork in this show demonstrates the residents’ resiliency, and displays the rewarding results of their positive efforts.